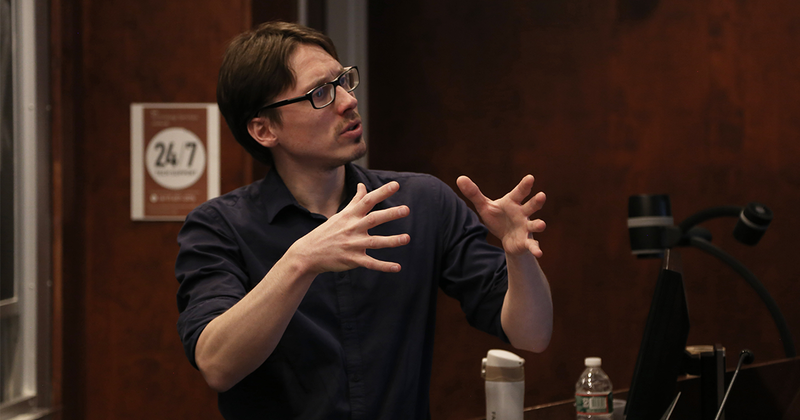 Tufts Engineers Without Borders organized a talk in April as part of the Institute of Global Leadership’s Migration Series. The talk, “Global Access to Decentralized Fabrication”, was given by Engineering’s Professor of the Practice Jean-Michel Molenaar. He began by discussing his ultimate goal of making fabrication as ubiquitous as computing has become. Today, nearly every person in the developed world has an extremely powerful mobile computer in their pockets. Professor Molenaar wants to make fabrication just as convenient and easy to access for people all around the world. After explaining the goal of the organization, Professor Molenaar gave a few examples of their active and completed projects. In Antananarivo, Madagascar, the Fab Foundation built a lab, which provides the local community with resources to build what they need most to help themselves. The foundation tries not to go in and tell the community what they need. The foundation exposes community members to the necessary tools and allows them to determine what is important. In Madagascar, the community first used the lab to fix cars. Most cars in Madagascar are actually imports of old cars from France that have been deemed no longer road-worthy. Historically, these cars were completely mechanical, so skilled mechanics were able to fix any issue that came along. Recently, most cars coming to Madagascar contain many electronic controls and components that the community could not fix. With the fabrication tools in the Antananarivo Fab Lab, community members were able to make small Arduino circuits to fix electronic components within the cars. The Fab Foundation would not have thought to use the lab for this purpose without the community’s input. Another project that Professor Molenaar mentioned was creating a fabrication lab in Suriname. During a meeting with Suriname government leaders, Molenaar displayed a 20-year-old picture of Shenzhen, China. He asked the leaders to guess where the image had been taken. Most guesses were that the picture was from an intersection a few blocks away from the meeting room that they were sitting in. He then displayed a picture of what Shenzhen looks like today. The government officials were shocked. Comparing the two images of Shenzen demonstrated the power of growth and development. Finally, he presented a picture of an intersection in Paramaribo, Suriname’s capital, and proposed that the possibilities are only limited by what you can imagine. He mentioned taking some prospective Surinamese lab coordinators to French Guiana to see the fabrication lab there. While there, the prospective lab coordinators were visibly brainstorming about projects they could do at home in Suriname. This illustrated that asking people what they want can be helpful but showing people the tools with which they can solve problems is even more powerful. Professor Molenaar is currently working on a project focused on refugee camps in Amman, Jordan. The Fab Foundation consulted with the United Nations High Commissioner of Refugees to see if implementing a Fab Lab might be helpful for the growing refugee communities. The Crown Prince Foundation in Amman also contacted the Fab Foundation to explore the possibility of setting up a Fab Lab. Another strong message that Professor Molenaar emphasized was that engineers working in developing countries not only have to manage technical challenges, but also may encounter political and economic roadblocks. That is a lesson that Engineers Without Borders come to understand in our projects as well. We found it interesting to hear Professor Jean-Michel Molenaar speak about how fabrication labs could have a strong, positive impact on the local ecosystems in which they are implemented. The educational empowerment that Professor Molenaar spoke of was not just exciting, but also hopeful. Additionally, the opportunities that fabrication labs open up promise the possibility of solving real world problems with minimal outside help. We plan to strive to replicate Molenaar’s approach in our projects and empower the communities we work with in Nicaragua and Malawi to become increasing self-sufficient.